ol·fac·to·ry (ŏl-făk′tə-rē, -trē, ōl-) adj. | Of, relating to, or contributing to the sense of smell. 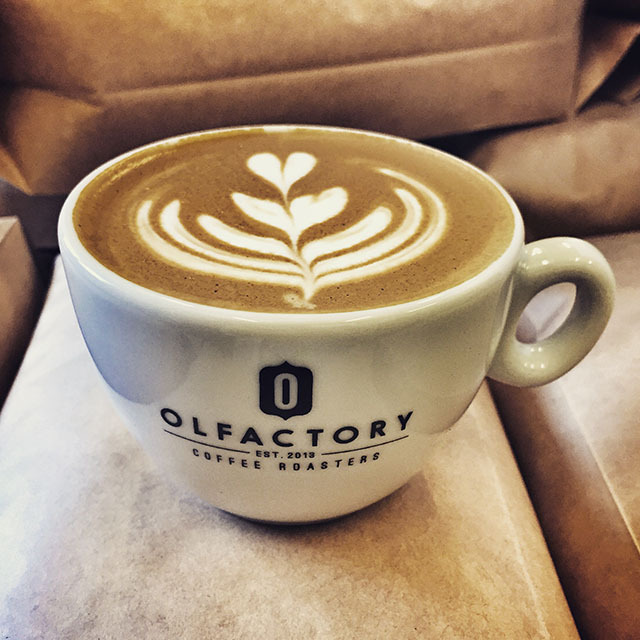 Tucked away in a converted brewery on the outskirts of Penryn you will find the delightful Olfactory Coffee Roasters, a specialist and aromatic micro-roastery. Olfactory was set up by Angel Parushev (below right) in 2013, and after six months of work transforming the old brewery into a smart micro-roastery, the first Olfactory coffee beans were roasted on 21 April 2014. Angel’s background is in law, but his passion for coffee inspired him to take a less corporate career path, for which we should all be grateful. 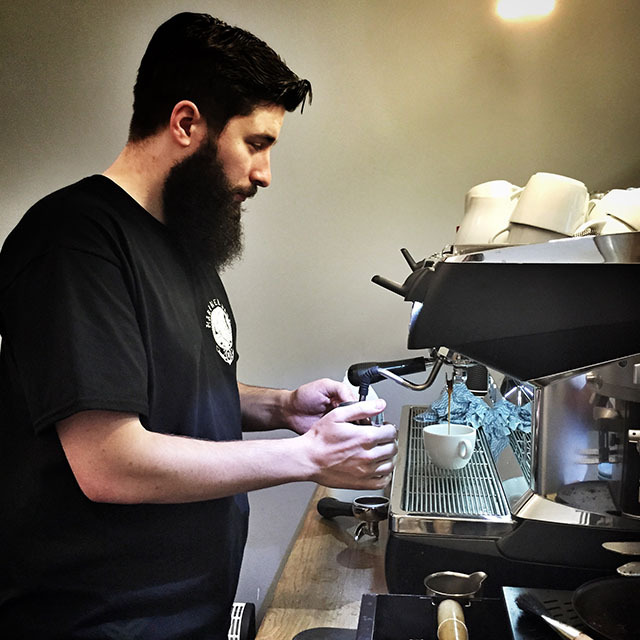 His experience in the speciality coffee industry, combined with a lot of research and experimentation, has led to an in depth knowledge of the subject. In his words, “I just want to make good coffee”. Along with trainee roaster, and soon to become master roaster, Maria Popova (above left), Angel has built his business quickly over the past twelve months. 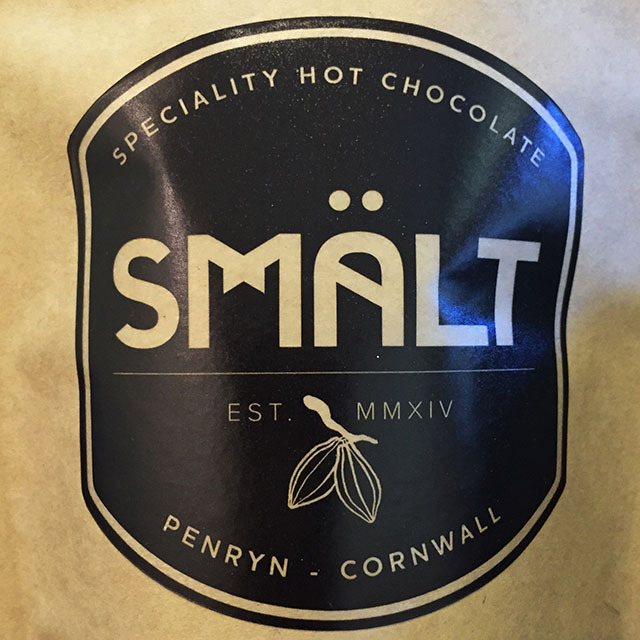 Olfactory coffee is available at a growing number of cafés and restaurants (including The Hidden Hut, Hall for Cornwall and The Shellfish Pig) and delis across Cornwall, and beans are also available to buy direct from the roastery. The building is warm and welcoming, stylishly decorated and with a training area for customers. One part of the roastery houses artist Jon Doran‘s studio; his paintings hanging on the wall add welcome colour to the scene. 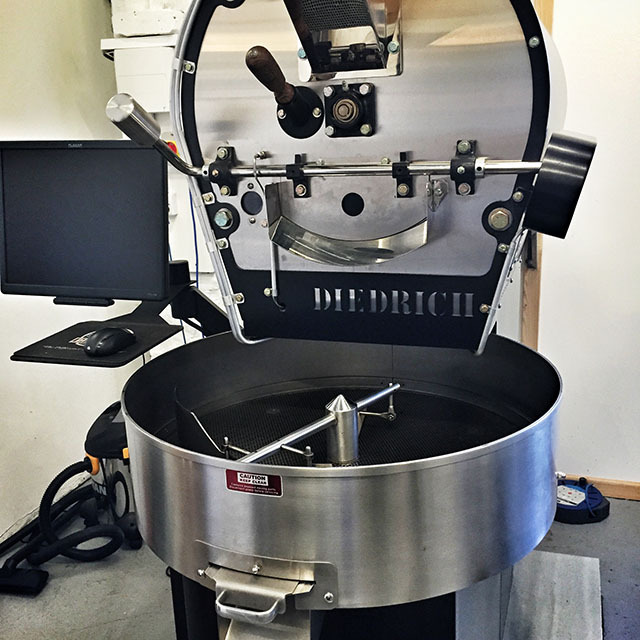 The Diedrich roaster is obviously Angel’s pride and joy. 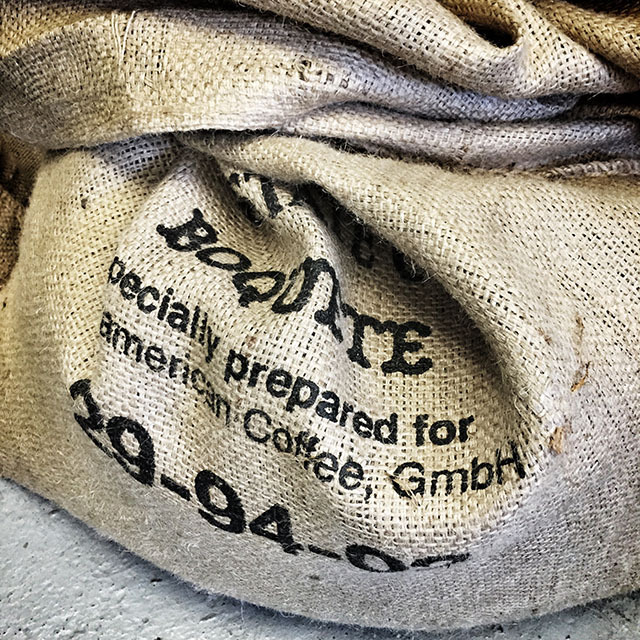 The machine was handbuilt to his specification in America, and roasts twelve kilograms of coffee at a time. Beans are sourced from across the world, with a great deal of emphasis on ethical trade. At the start of each season Olfactory take delivery of a selection of beans, which they “blind cup” and choose the best. At this time of year beans come from South America and parts of Africa, with their flavour and quality varying from year to year depending on many elements, including the weather in the region and the density and variety of the bean. 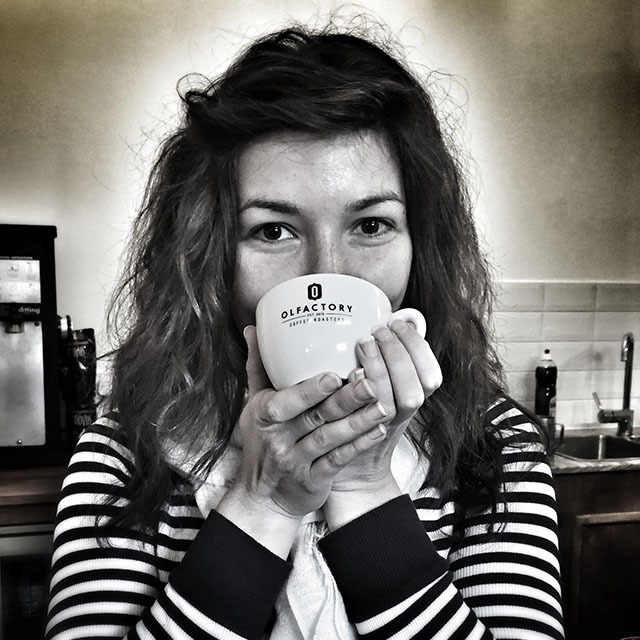 Olfactory make two consistent house blends as well as creating bespoke blends for customers, including the highly regarded Espressini in Falmouth. 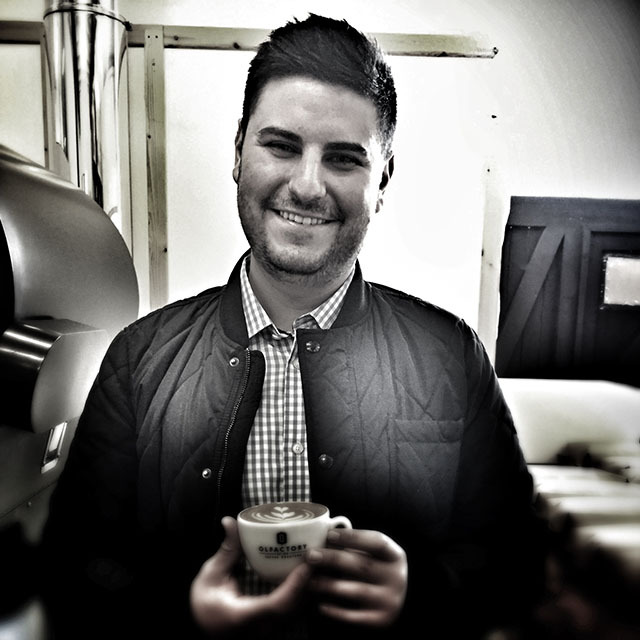 Dave Green (above left) recently joined the team as head trainer, and his enthusiasm and knowledge of coffee is vast. An important part of the company’s ethos is that their work doesn’t finish when they sell beans to a customer. 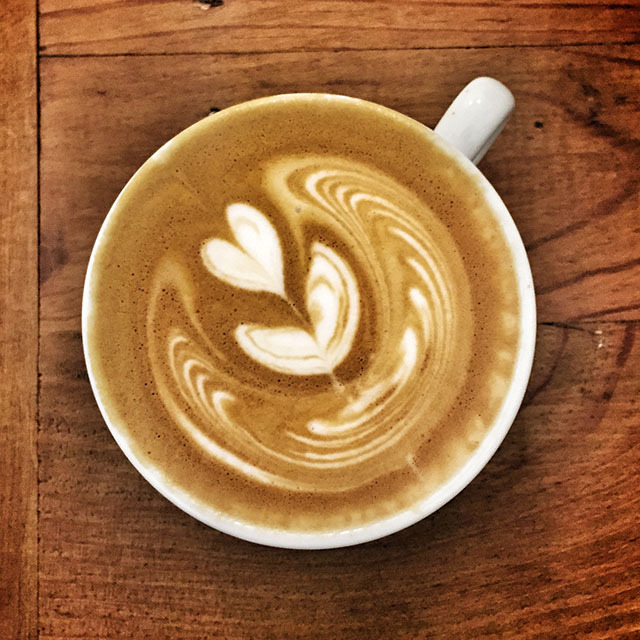 Dave will train baristas to make the best cup of coffee possible, getting the grinding, temperature and pressure just right, and finishing it off with perfect latte art. Dave’s top tip: don’t store your coffee in the fridge, keep your coffee beans in a glass jar at room temperature. 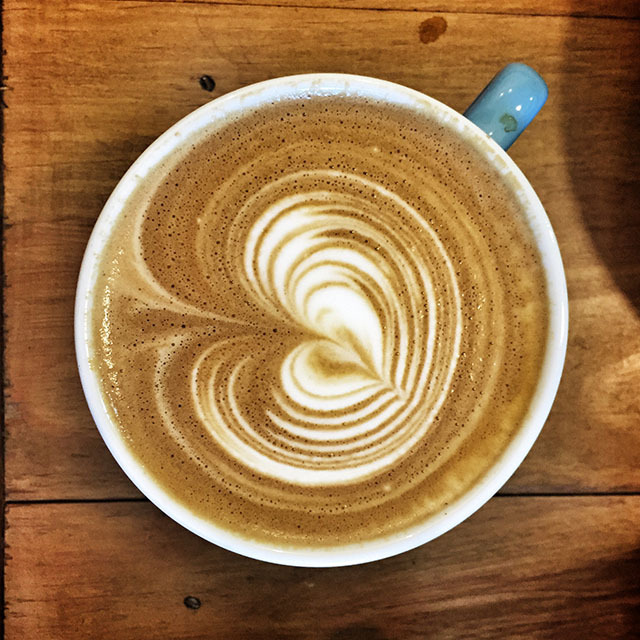 Whilst happily tasting several cups of coffee, we chatted about the rising trend for non-dairy milk, such as soya, almond and bonsoy milks, as well as the full-fat versus skimmed argument. 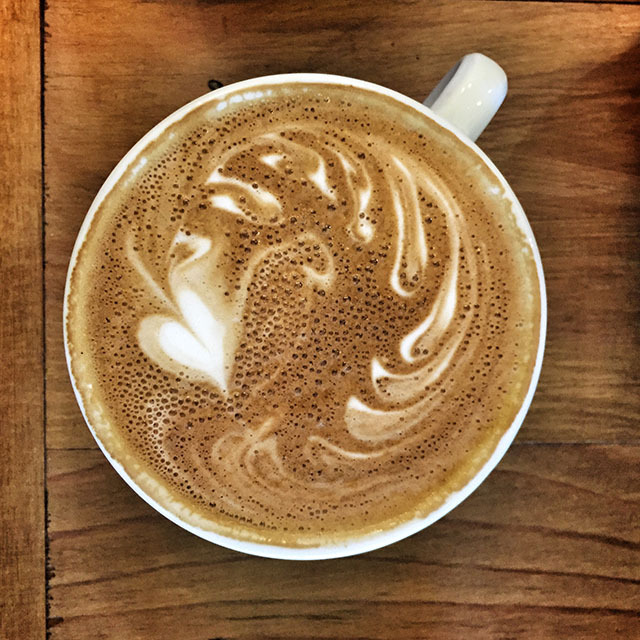 Steaming milk hardens the protein molecules, which traps tiny bubbles of air, which in turn hold the latte art together. The prettiest pattern and, let’s face it, the best taste, are going to come from full-fat milk. 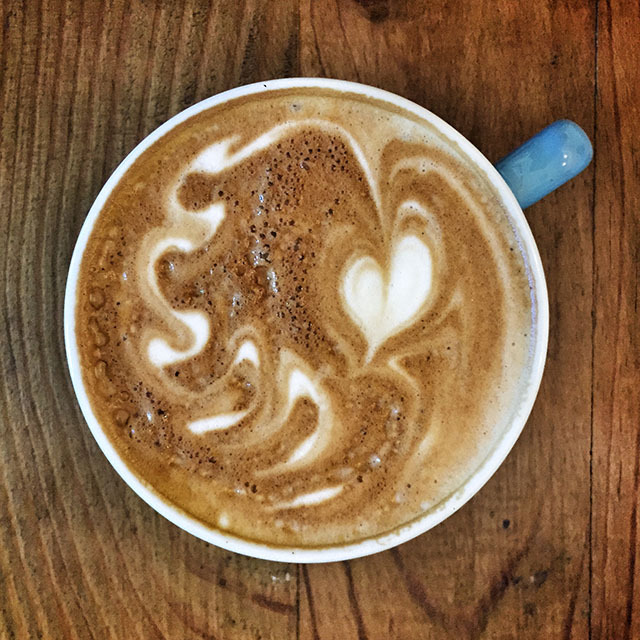 Skimmed milk is watery and the bubbles burst quickly, and this is also the case for most non-dairy milks, although bonsoy seems to be the best dairy-free alternative. It should also be said that the sweetness of full-fat milk enhances the flavour of the coffee. The coffees we tried were smooth and sweet, without a hint of bitterness, and extremely enjoyable. 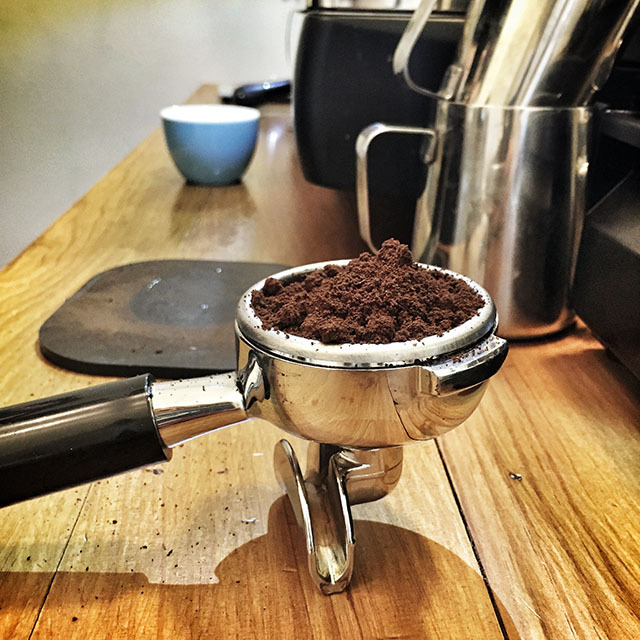 Interesting fact: Did you know that an espresso contains around 53mg caffeine and a filter coffee 330mg? And that the darker the roast, the less caffeine the coffee contains? The single origin chocolate (Smält) was sourced especially for Olfactory by Trenance. 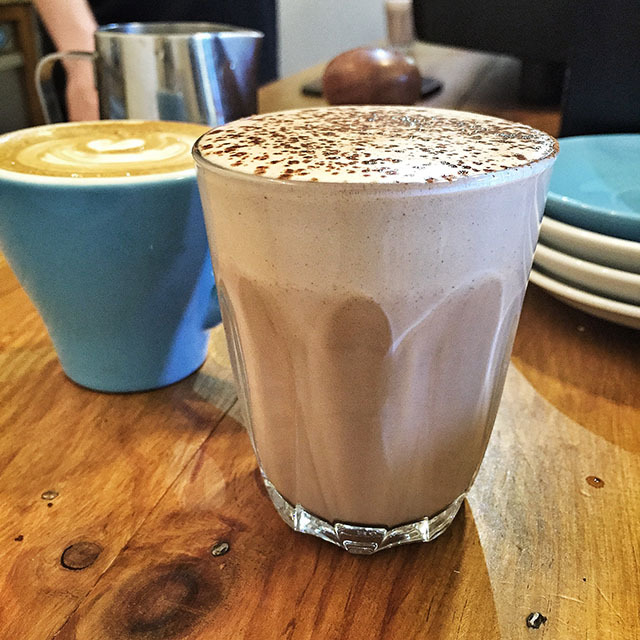 When the 80% cocoa chocolate drops are mixed with steamed milk, the result is a rich, creamy hot chocolate, with no sickly sweetness, just a smooth, warm, chocolatiness which really hits the spot. The passion and enthusiasm of the team at Olfactory is infectious. I left wanting to learn about selecting beans, cupping and latte art. But most of all I want to see Olfactory’s name on menus and in kitchens across the county. Look out for Olfactory’s new branding, currently being designed by Kingdom and Sparrow, with a retail website coming soon. The Old Brewery Yard, Lower Treluswell, Penryn, TR10 9AT. Thank you Kate, glad you enjoyed it!